When one of my favorite breweries asked if I'd like to try one of their newest series of beers, of course I said yes (and I thought my Christmas cards weren't working). 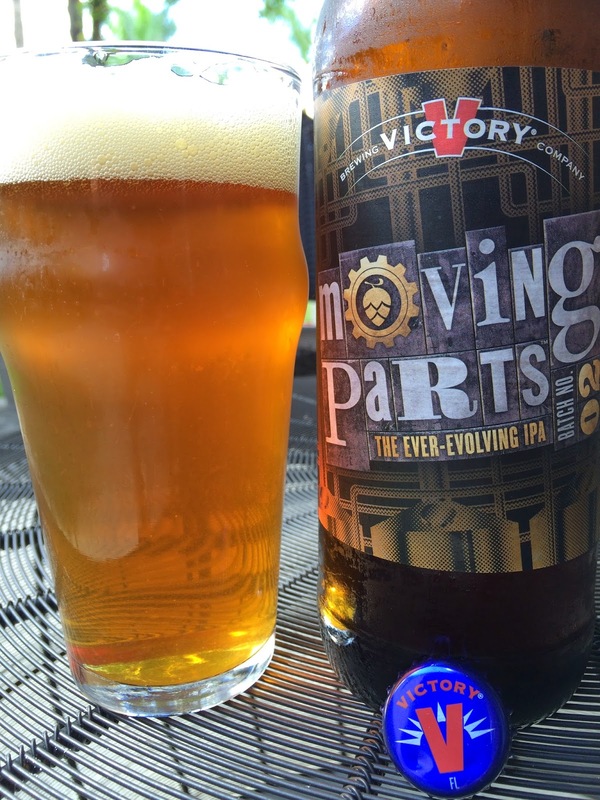 The beer I'm speaking about is Victory Brewing's Moving Parts: The Ever-Evolving IPA Batch No. 02. The Moving Parts series embraces the brewery's "penchant for prolific experimentation," changing an ingredient or two from batch to batch to create an endless stream of nuanced IPAs. 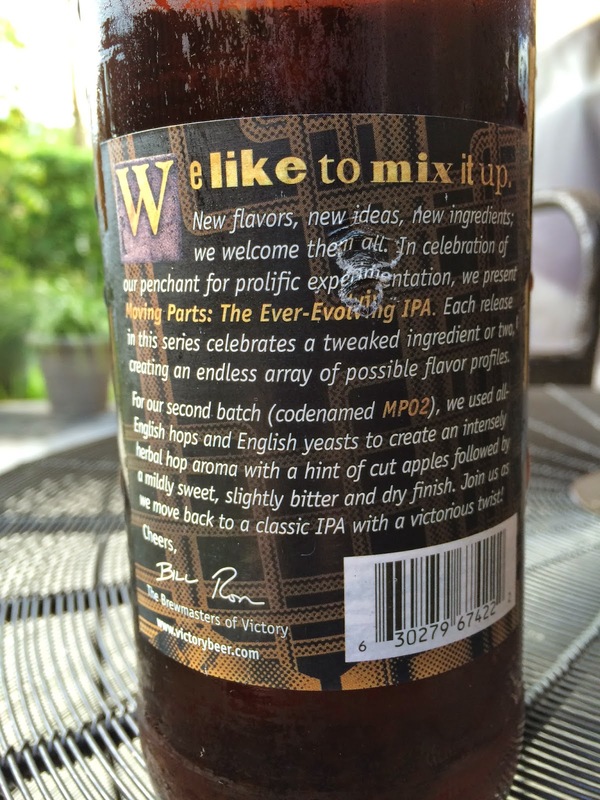 MP02 is the second in the series, an English IPA, and is packaged in a 22 ounce bottle. The label has a gear and mechanical watch type theme. Enjoy by 26FEB2015. 6.4% alcohol. Nice though not particularly strong aroma: fruity, herbal, earthy. Sweet malt and herbal flavors are very prominent from the start. You can taste some sweet fruit flavors there as well, apples and pears, especially as the beer warms up a little bit (recommended). After the initial sweetness, you will be greeted with some lemony and grassy bitterness, along with some light astringency and hoppy spiciness. The finish is dry. Carbonation is good and a little sharp. Interesting and enjoyable. I won't say I'm in love but I definitely liked it. Check it out.